This past weekend we hung out my sister-in-laws’ with her and her kids. As the day wore on, the three youngest kiddos wanted to chill out with some Curious George. 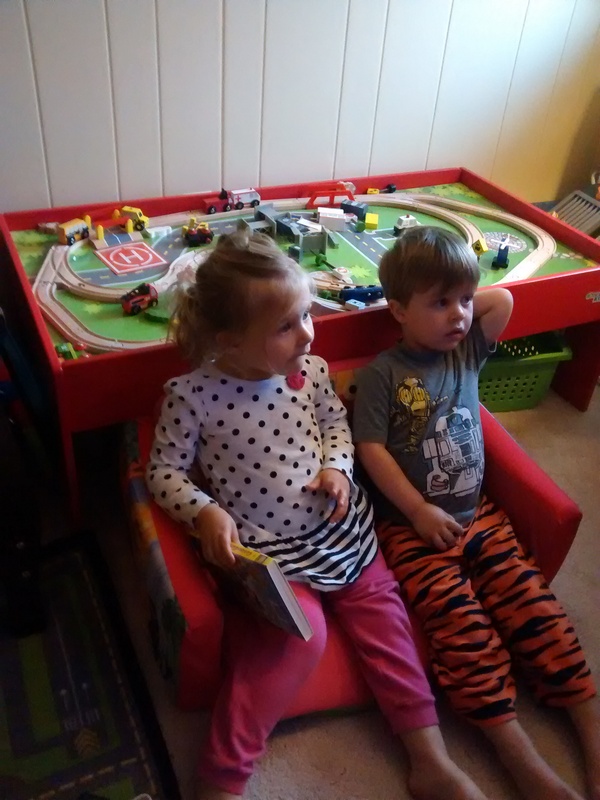 The twins looked so sweet on their cousin Johnny’s love seat.